‘Shocking Event Drums’ is a compilation of amazing and up-to date drum loops, kick drums and synths. This product provides you 50 top-notch Progressive, House & Electro drum loops, all inspired by the sounds coming from big events and festivals. Vandalism brings you comprehensive loops to give you an opportunity to make real anthems from your tracks! 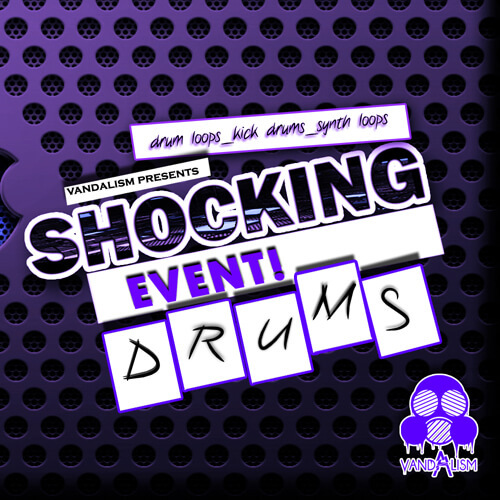 ‘Shocking Event Drums’ provides you 50 drum loops, ten kick drums and ten synth loops in WAV and MIDI format. With all this stuff you will be able to make your own banging track! This product brings you only fresh material, full of power and presence. There is all you need to have amazing drops mixed with amazing drums and kicks.